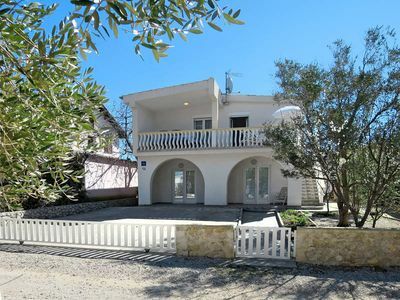 If you are searching for a place where you can not only relax, but also enjoy the absolute privacy of a fully enclosed property, this villa could be exactly the perfect choice for you. 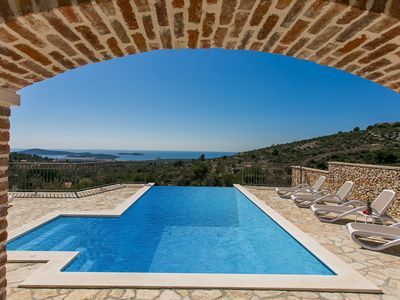 This newly built villa can accommodate up to 11 people and is thoughtfully divided in 3 floors with altogether 4 large and luxurious bedrooms. On ground floor there are bedroom, bathroom, gym and entertainment area. On the first floor there are master room, kitchen, dining room, living room, bathroom and separate toilet. On the second floor there are 2 bedrooms and 2 bathrooms. 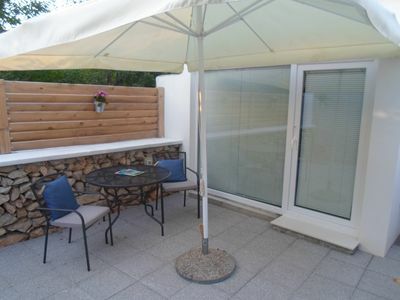 Stone wall surrounding the property which gives a special charm to the villa. For an even more luxurious experience, at your disposal are a private swimming pool and 8 sun loungers, where you can enjoy the sun. 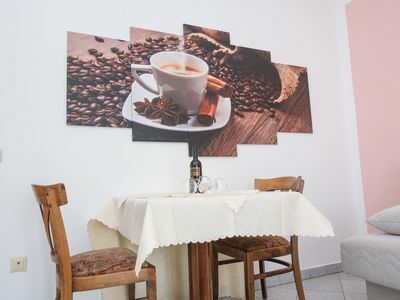 The town center of Rogoznica, beaches and restaurants are 4 km from the property.